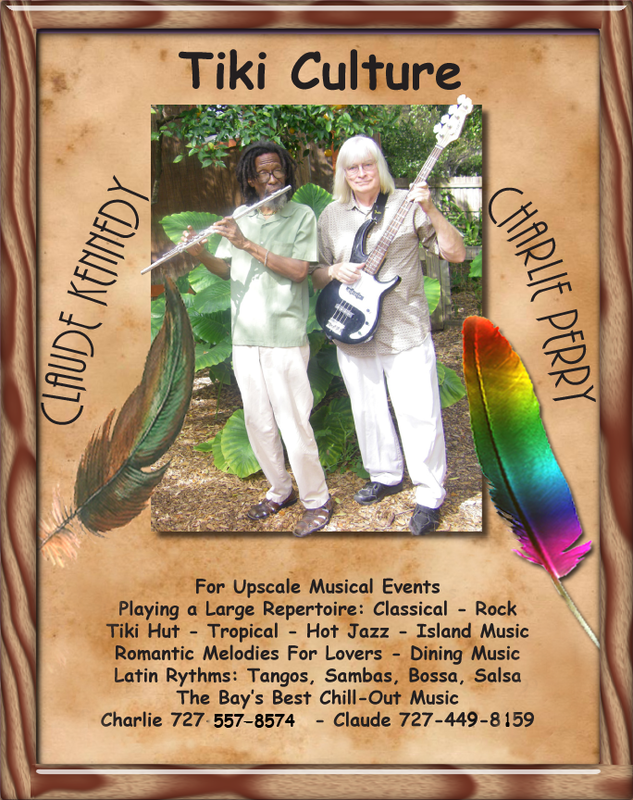 Native Bamboo luthier Claude Kennedy sells cigar box guitars in Clearwater. "Not everybody can afford a Fender Strat." Mac MacNamara of Punta Gorda agrees. 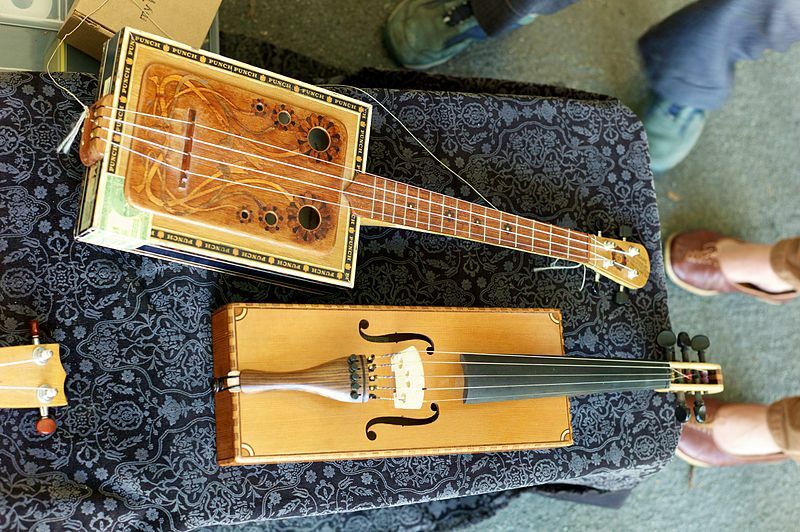 "I keep a cigar box guitar on a stand in my living room next to a set of conga drums. Guests love it. And it looks just great!" Skipper's Smoke House in Tampa recently hosted a cigar box guitar concert featuring the Delta Swamp Rats, a blues oriented ensemble. The fun, relatively inexpensive instrument may soon replace the uke as the hottest fad instrument of Florida. 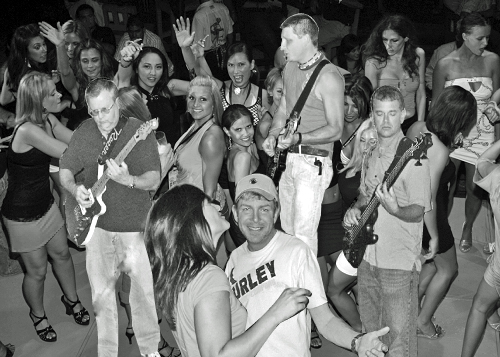 The Wrenchers, the area's top surfer band, own a music store in St. Petersburg. 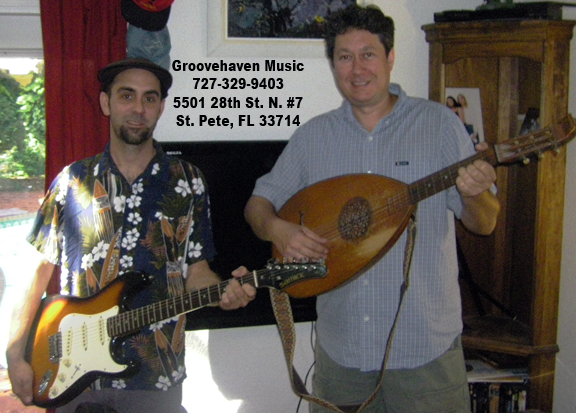 In the photo above, Steve demonstrates an 1863 Goldklung German Lute. "See, Pipeline sounds great on an antique instrument," he said. "Of course, having a great retro guitar player backing me up doesn't hurt either." "See me for strings, pickups, whatever." 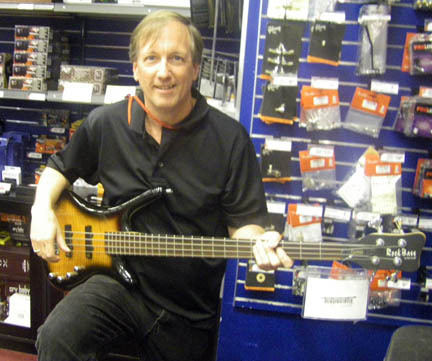 You can find store information on line (click here) and hear their band (click here). Sun: Then I passed over your road. [McMullen-Booth Road] Who was Booth anyway? Brett: Yep. The McMullens moved here in the late 1840's [around the time of the Alamo]. The Booths came later, in the early 1850's. Sun: Two families close together; not many other people, I guess marrying was natural? Brett: You bet. My family owned farms up and down this part of Tampa Bay. They needed to drive the cattle to the ferry in Safety Harbor. So the McMullens and the Booths cleared the land for the road and the name stuck. Sun: You're well known for your gospel music and local rock performance. Does your website have country music as well? Brett: Yes it does. 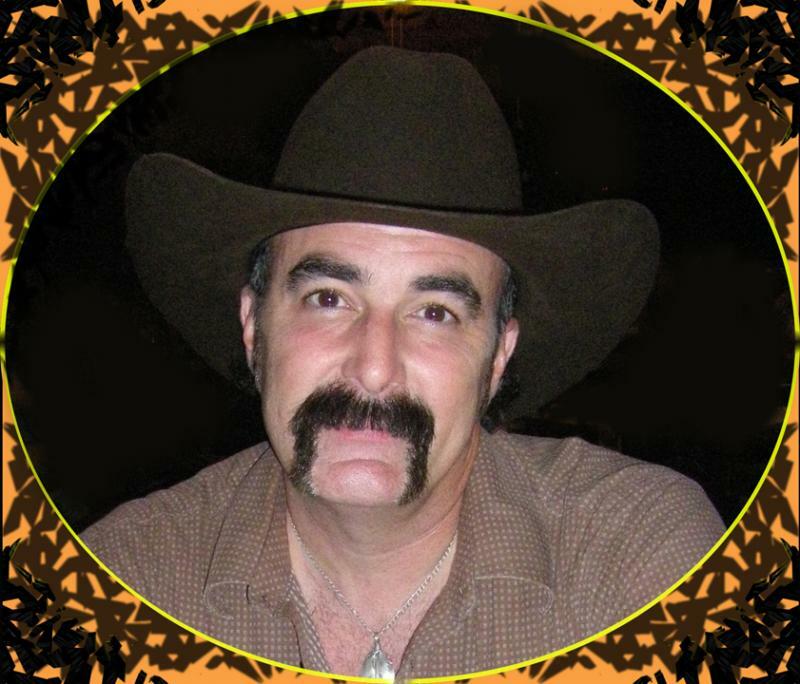 I recorded three country albums. I sing all styles, including rock and country rock, but my heart's in country. I have original music on the site. Sun: What are you doing next? Brett: All over. Heather's Place sometime, Third Friday Festivals) [519 2d Street South, just off Main Street] for the bonfires and an outdoor party. Click here for Brett's Music. Click here for Heather's Menu. String players are fun to photograph. The intensity and skill in their playing is reflected in their faces as they perform. Often the look is one of concentration with an edge of emotion resulting from the aesthetics of the moment. The hands and bows move like lightening. This leaves the photographer with the option of using a very fast shutter speed to capture the bow without blur or to use a lower shutter speed allowing the bow and bow hand to create a motion blur that lends a nice texture to the shot. The gentlemen to the right, an advanced student of Professor Eden Vaning, has an excellent tone. 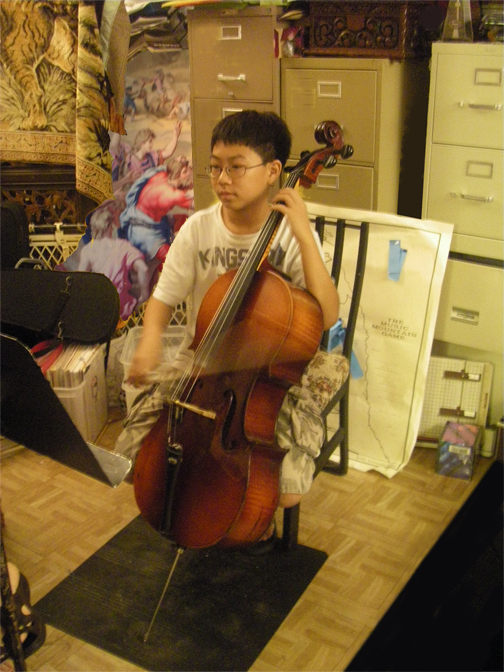 He is studying musicality (which will be the subject of Ms. Vaning's next book - her twenty-third volume on string playing. The Violin Book dot com). The background of the photo is the teaching studio, (largely left untouched with only minor adjustments). 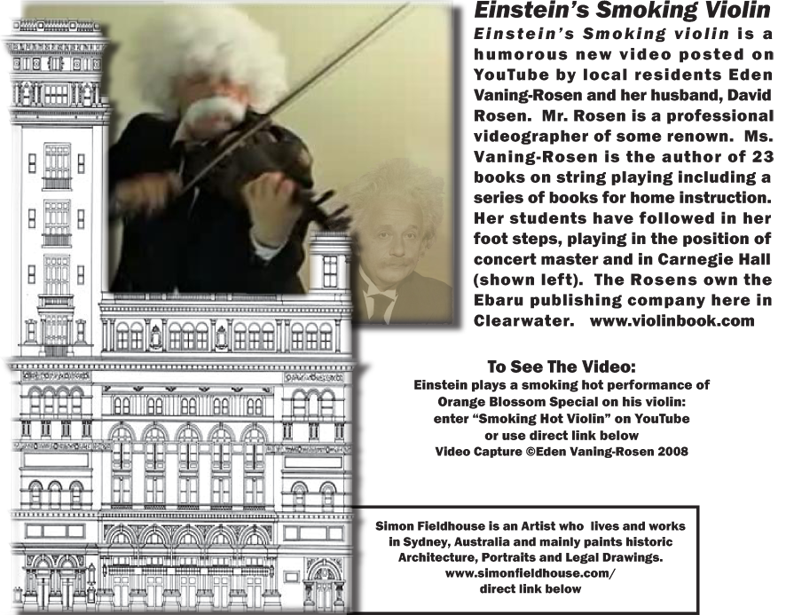 The background below was completely removed and the player isolated from an entire orchestra. It was shot taken during a pre-concert warm-up. 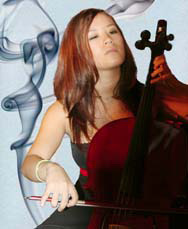 Using PhotoShop, color and smoke were added to match the feelings expressed by Serenity Tedesco, a professional musician. Lighting was the ambient natural light, rendered to match the aesthetics of the surrounding player. right soloist sounds. 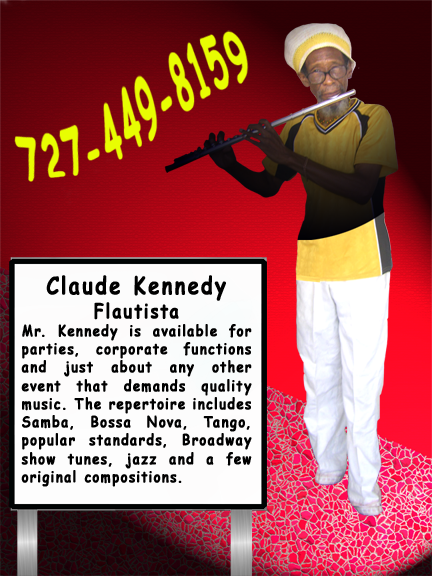 Kevin can be reached at 727-791-7464. 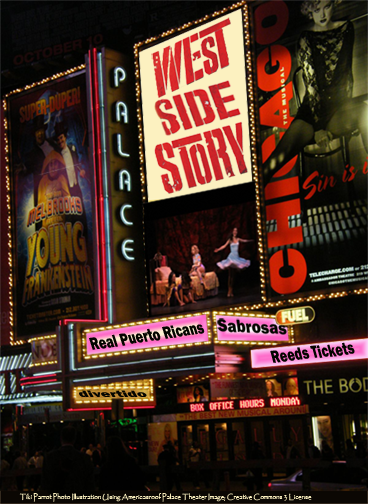 The new production of West Side Story uses real Puerto Ricans. Most of the production is in English with bits of Spanish dropped in for flavor. A new approach to costuming blends the best of many eras with the men looking authentic to the times and the women looking hot (nice touch from a later era). It's the best of all worlds! Reeds Tickets can hook you up for the show. The band, shown here in an older file photo illustration, is scheduled to be inducted into the Legends Country Music Hall of Fame in Dunedin. The band is led by guitar/vocalist Dan Brown, left. The band is noted for playing both kinds of music-country & western! !